ISLAMABAD -- Pakistan has dispatched humanitarian assistance to help flood-hit Iran, highlighting the negative consequences of the Iranian regime's decision to fund militancy in the region rather than to invest in infrastructure in its own country. The Pakistani Foreign Office said Wednesday (April 10) that the National Disaster Management Authority (NDMA) sent more than 32 tonnes of humanitarian assistance to Iran on the directives of Prime Minister Imran Khan. The consignment, comprised of two shipments, contained 500 tents, 3,300 blankets and emergency medical kits, according to the statement. The first shipment was dispatched to Ahwaz, Iran, Wednesday morning. Khan on Sunday (April 7) sympathised with the people of Iran and said that his government was ready to provide all possible humanitarian assistance. Pakistani Foreign Minister Shah Mahmood Qureshi conveyed to his Iranian counterpart, Javad Zarif, that Pakistan would send two planeloads of relief goods, Dawn reported. Floods and torrential rains that swept across much of Iran in recent weeks have caused widespread destruction and loss of life. Flood-related deaths have been reported in 11 of Iran's 31 provinces, with about 62 people killed as a result of the storms that began in March. The floods also exposed the shortcomings of Iranian governance, as many observers say the regime has focused on its external political agenda rather than build up infrastructure and plan for natural disasters. 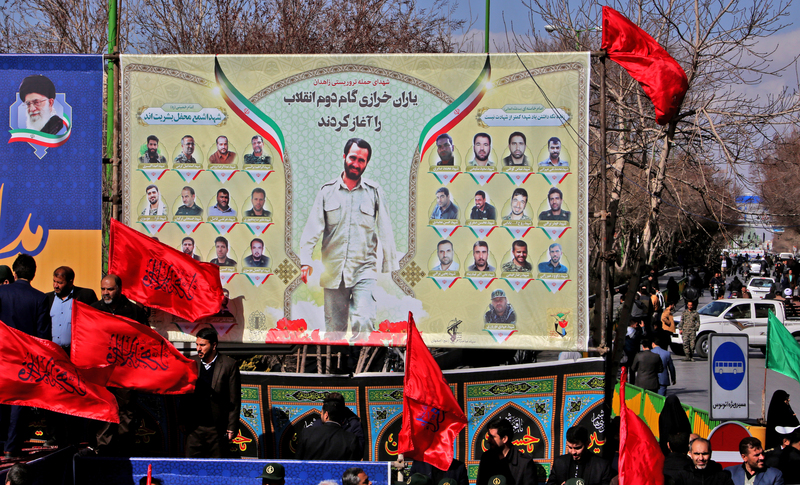 Iranian authorities "have caused this by diverting the nation's wealth to funding Islamic Revolutionary Guard Corps (IRGC) projects abroad", said Fathi al-Sayed, a researcher at the Al-Sharq Centre for Regional and Strategic Studies in Egypt. The Iranian regime chose to finance its armed affiliates "rather than develop the necessary plans to respond to such emergencies", he said. On Monday, the United States designated the IRGC as a terrorist organisation following decades of hostile acts worldwide by the group. The IRGC has been linked to many terrorist events in the Middle East and beyond over the past several decades, has backed insurgencies across the region, and at home the Guards have amassed sweeping political and economic influence, with some estimates suggesting that they control up to half of the Iranian economy. "Public anger has been mounting in Iran since the consequences of the floods became known," said Mazen Zaki, director of the new media department at Ibn al-Waleed Studies and Field Research Centre in Egypt. Social media have been inundated with comments and images that reveal the extent of public outrage, he said, noting that Iranians are already suffering as a result of the collapsed economy and widespread unemployment. The comments point to the "lack of real assistance for displaced civilians, absence of government institutions in the affected areas and failure of government institutions to help them despite the magnitude of the disaster", Zaki added. As the extent of the disaster became clear, Zarif the foreign minister attempted to dodge responsibility, blaming US sanctions for a shortage of rescue helicopters in a social media post. But US Secretary of State Mike Pompeo refused to shoulder the blame, pointing out that sanctions would present no obstacle to legitimate disaster assistance. "These floods once again show the level of Iranian regime mismanagement in urban planning and in emergency preparedness," Pompeo said in a statement. "The regime blames outside entities when, in fact, it is their mismanagement that has led to this disaster," Pompeo said. "The United States stands ready to assist and contribute to the International Federation of Red Cross and Red Crescent Societies, which would then direct the money through the Iranian Red Crescent for relief," he said. If you are rightful, then blame with proofs… rest, each country has the right of defence… and they have to strengthen their army for that…!!! Your example is like carrying coal to Newcastle; whole world has certified you of terrorism; recent bombing in Quetta is an example. Your pet dogs are still busy in terrorism and you are defaming Iran. Your job is to misguide people for money; you people are flatterers and would remain flatterers. Largest terrorists are America and Israel, who are spreading peacelessness in the region. 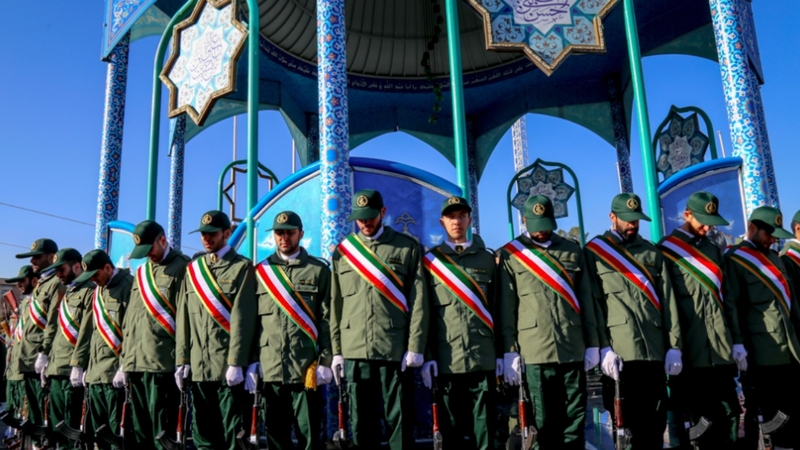 As IRGS is an army guarding the Islamic revolution, there purpose is to foil every conspiracy against Islam, not just in Iran but in whole Muslim world; and they have been a bone in the throat for infidels and Jews. With the grace of Allah all the tactics of America and Israel will be foiled. You should be ashamed for defaming Iran at Saudi funding. If Iran is spreading terrorism, but is it not what Saudi Arabia is doing in UAE and Yamen? Are you showing sympathy with Iran or enmity? Iran is a strong country, this is a test from Allah. They will rectify their mistakes. If Iran is involved in terrorism, your article is reflecting your mind. No, this article is biased, it is just a controversy being kicked off like rest of the media that Iranian Government is responsible for mismanagement; whereas Pakistan should not forget the flood of 2010. 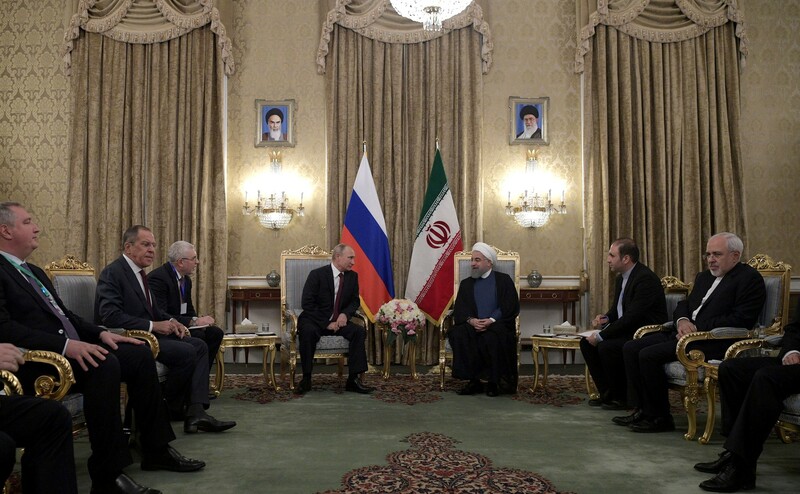 The Kremlin is backing Tehran's sectarian agenda in an attempt to claw its way back into relevancy in the Middle East, Afghanistan, Central Asia and beyond.